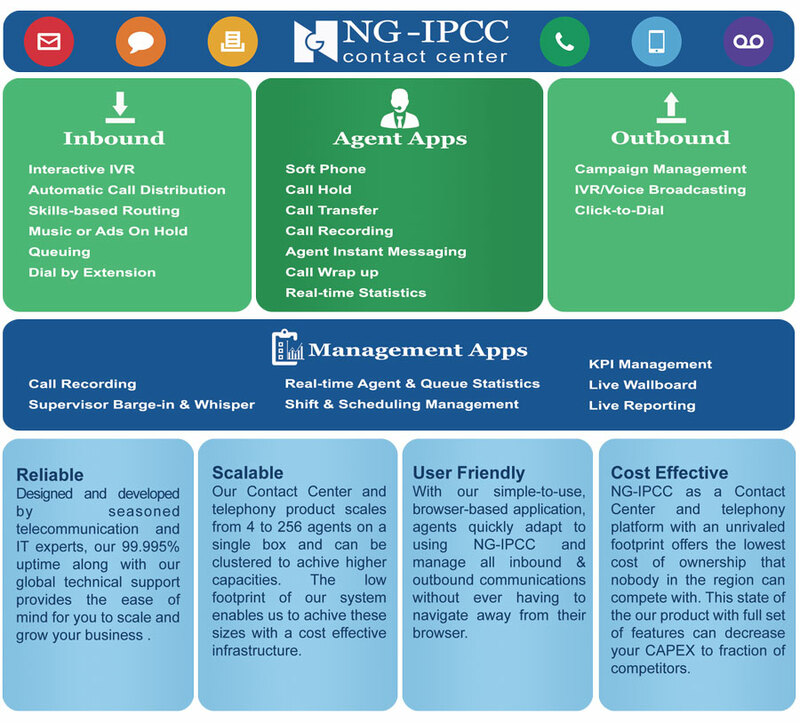 NG-IPCC Contact Center & Telephony software is your all-in-one solution that provides cost savings, improved customer satisfaction, and increased sales & support productivity. Deployed as web-based application by Java programming language, simply plug in a headset and login through browser, no software or APIs are needed. NG-IPCC supports voice, email, fax, chat and SMS for inbound and outbound.